The club’s chairman Atchariya Ruangrat-tanapong has identified the lawyer as Sittha Biabangkerd, who until recently had been a close friend of his and widely held in high esteem. “Sittha contacted the couple, even though he was not their lawyer, and claimed that he could help ensure that the alleged cheater in their case faced additional charges and tougher punishments for a fee of Bt500,000. But no further charge was levelled after the couple paid him,” Atchariya said. 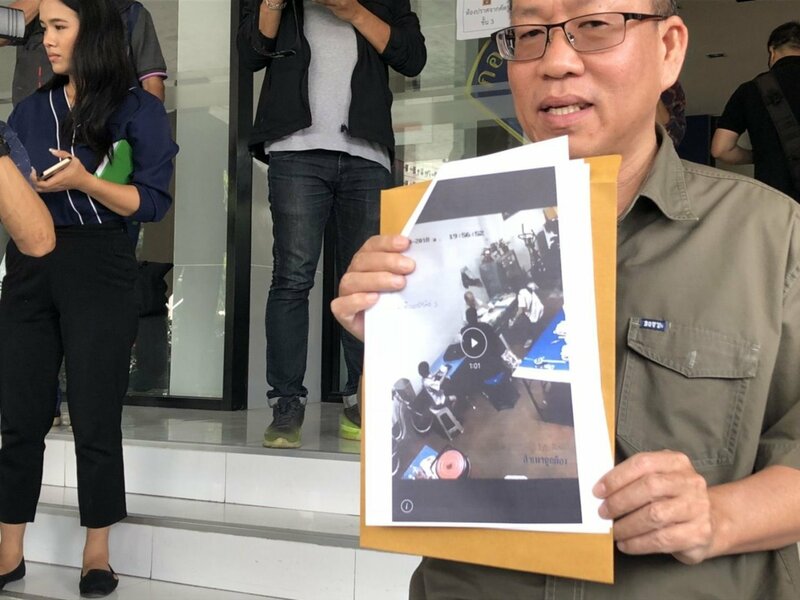 The couple, who operate a seafood export business in Samut Sakhon province, had reportedly been lured into a pyramid-fund scheme and lost more than Bt10million. They then lodged a complaint with police and were interested when Sittha approached with a claim that he could ensure tough punishment was meted out against the cheater. According to Atchariya, the couple paid Sittha Bt500,000 only to learn that no additional charge had been pressed. They then contacted Sittha but he refused to return their money. “So, they came to me. After a negotiation, Sittha returned Bt450,000 to the couple via a bank account and sent Bt50,000 more to the couple by cash,” Atchariya said. He said that although Sittha had returned the money, it needs to be found whether he had he violated Article 143 of the Criminal Code. “The article bars any person from being a middleman in demanding a bribe,” he said. Atchariya lodged the complaint with the Crimes Suppression Division, which he said promised to look into the allegation. Sittha risks losing his lawyer’s licence if the Lawyer Council of Thailand finds him guilty of demanding a bribe. “This allegation is serious,” the council’s secretary-general Sarancha Srichonwattana said about the complaint. The council normally punishes lawyers who breach their professional etiquette with probation, licence suspension and even licence revocation. Sittha has enjoyed a good public image due to his role in several high-profile cases, including the fight against a Bt30 million lottery prize claim. However, allegations have recently been made against him, with one claiming that he helped secure an acquittal for former Miss Teen Thailand Amelia “Amy” Jacobs in a drug-trafficking case by illegitimate means. The TV actress and her boyfriend were arrested last year for possessing 70 grams of crystal methamphetamine, or “ice” and 16 ecstasy pills. She was acquitted late last month, with the court accepting her defence that she was only a user, not a seller. Her sentence for possession was a suspended jail term and a Bt5,000 fine. Engagement dowry latest! Thai woman hits back saying she’s innocent!